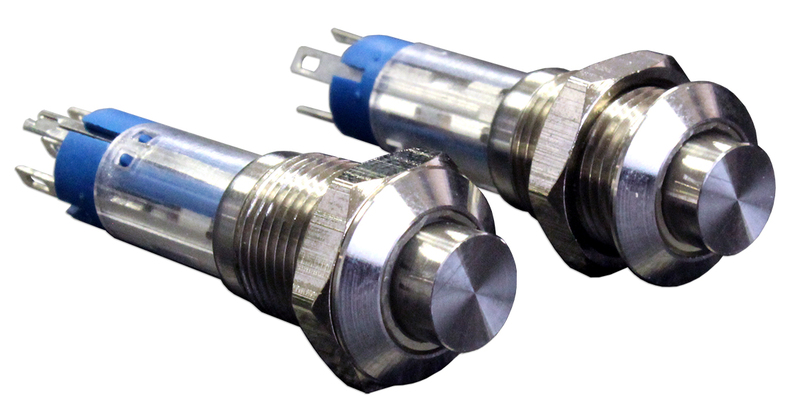 The SPST, 10mm GH Series anti-vandal switch is available in both momentary or latching. 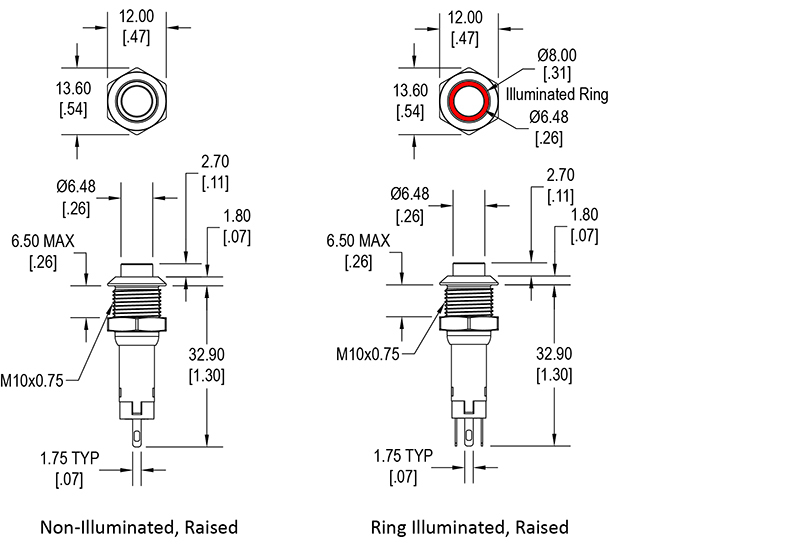 Raised actuators offer non-illuminated or ring illumination styles. This panel mount push switch features IP65 sealing degree and electrical rating of 2A @ 48VDC. The GH Series push button switch offers brushed stainless steel or anodized aluminum switch finish in black, green, red, blue, or yellow.